Jaguar Land Rover, Britain's biggest carmaker, estimates its annual profit could be cut by 1 billion pounds ($1.47 billion) by the end of the decade if Britain leaves the European Union, according to two sources familiar with the company's thinking. The worst-case-scenario estimate is in internal documents seen by both sources that were prepared by the firm's chief economist, David Rea, to outline the possible consequences if Britons vote to leave the world's biggest trading bloc in Thursday's referendum. It gives an insight into the level of concern at a major company about the uncertainties of a future outside the EU. The rapidly-expanding firm, which traces its history back to 1922 and is headquartered in Coventry, central England, has also looked into opening a European office were Britain to quit the bloc, both sources said. It has also put on hold starting major work on a plant in Slovakia announced in December as well as negotiations on a deal to lease property at Silverstone race track because of the uncertainty surrounding Thursday's vote, they said. The 1 billion pound decline in pre-tax profit by 2020 would apply if Britain returned to World Trade Organisation rules for trade with Europe, involving a 10 per cent tariff on exports and an inbound tariff of roughly 4 per cent on components, the sources said. "It may at worst cost us about 1 billion pounds," said one of the sources when asked how Jaguar Land Rover (JLR) had phrased the wording in the 89-page report, entitled 'Referendum: The View'. A second source said the number had featured in an internal presentation shown to the board. The company made a 2015/16 pre-tax profit of pound 1.6 billion. JLR, which is owned by India's Tata Motors, sold almost a quarter of its over 520,000 cars in its largest market Europe last year, confirmed it had looked into the impact of Brexit. "As part of our standard business planning process, we regularly look at macro-economic and geo-political developments around the world," a JLR spokesman said in an emailed statement. "Like any other responsible global business, we have analysed the impact of any potential UK departure from the EU. However, we are not discussing details of any internal business analysis." Businesses have been reluctant to talk about contingency plans for Brexit but carmaker Ford, which only builds engines in Britain, said it could face tariffs of 2.7 per cent on engine exports and import tariffs of up to 10 per cent on incoming vehicles, according to a copy of a letter sent to employees on Monday seen by Reuters. 'Leave' campaigners argue that Britain should be able to negotiate a tariff-less trade with France and Germany for its cars because French and German models are so popular with British drivers. The work, which has been updated several times since it was first prepared for the board with input from the company's sales, marketing and tax departments last summer, features three other scenarios including Britain remaining in the single market, the second source said. The two other post-Brexit scenarios look at Britain taking several years to negotiate a deal to remain in the single market or agreeing a trade deal imposing low tariffs costing JLR in the low hundreds of millions, the source said. A hit to JLR would be a big blow to Britain's resurgent car industry, which has been lauded by politicians as a sign of the country's manufacturing prowess and is on course to reach an all-time production high of nearly 2 million cars by 2020. JLR, which built nearly one in three of Britain's 1.6 million cars last year, is undergoing a major expansion of its lineup, and has joined the rest of the overwhelmingly foreign-owned car industry in calling on Britons to remain in the bloc. It opened a small overseas facility in Brazil last week. However, a hit to profit could impact the company's ability to fund further expansion. Some projects have been put on hold until the outcome of the referendum is clear, according to the sources. 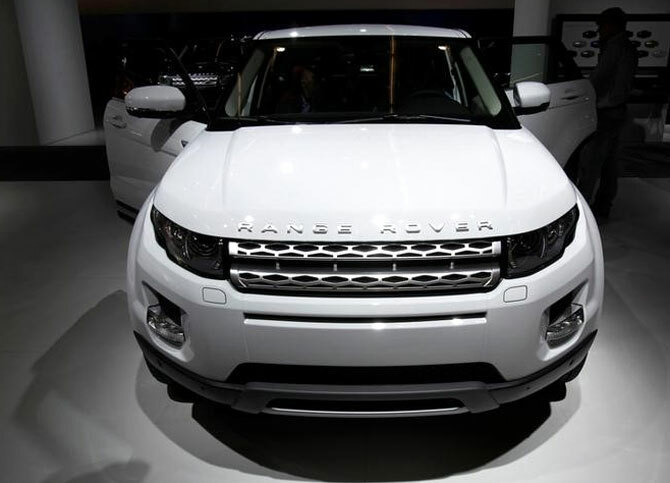 JLR fully funds its investments without support from parent Tata Motors, executives have said. The cost of investment contributed to a 40 per cent decline in its 2015-16 pre-tax profit. "They are deeply worried about being outside of the EU...They have been holding off on meaningful expenditure," the second source said. In December, JLR sealed a deal to build a 1-billion pound plant in Slovakia with an annual output of 300,000 cars partly in a bid to help it better deal with fluctuations in the value of sterling. But the sources said construction of the factory, which could become vital for JLR's European businesses if a vote for Brexit brought new trade tariffs, has yet to start. The sources also said a decision on Silverstone had been delayed until after the referendum. JLR could open an office in Brussels were Britain to leave the EU to maintain influence with European policymakers, both sources said, with the first source saying Luxembourg was also an option. That source said JLR could make the office its European headquarters but the second source said JLR would retain its British HQ. A spokesman at the firm said: "Jaguar Land Rover is a British company and our headquarters will remain in the UK." JLR is Britain's biggest builder of high-end and premium models and is one of the many small and premium automakers benefiting from more lenient EU rules including on emissions, due to low sales volumes compared to mass manufacturers. "Having an office close to Brussels would allow them to maintain influence post any deal," the second source said. CEO Ralph Speth, who has consistently spoken out in favour of continued EU membership, wrote to workers on Monday warning of the possible consequences of a Brexit on the firm. "It is inevitable that we would face increasing and higher tariffs, making our products less competitive in Europe," he said in a copy of the letter seen by Reuters.